England’s leading runscorer Alastair Cook will retire at the end of the fifth Test against India at The Oval, and added another half-century to the many he already has. But India’s bowlers ensured the away side ended the day on top, and he praised them at the end of play. He reserved particular praise for Mohammed Shami. Though the right-armer went wicketless, he beat the bat countless times, and bowled an especially hostile spell to Moeen Ali in the afternoon session. Cook also praised how Ali, who was eventually dismissed for an even 50 from 170 balls, battled through. “It was an unbelievable spell,” he said. “I was facing Jadeja at the other end and quite happy! We found it hard to know which way it was going. One thing Mo did pretty well, yes he was playing and missing, but he wasn’t curtain-railing as much, he was playing the line. 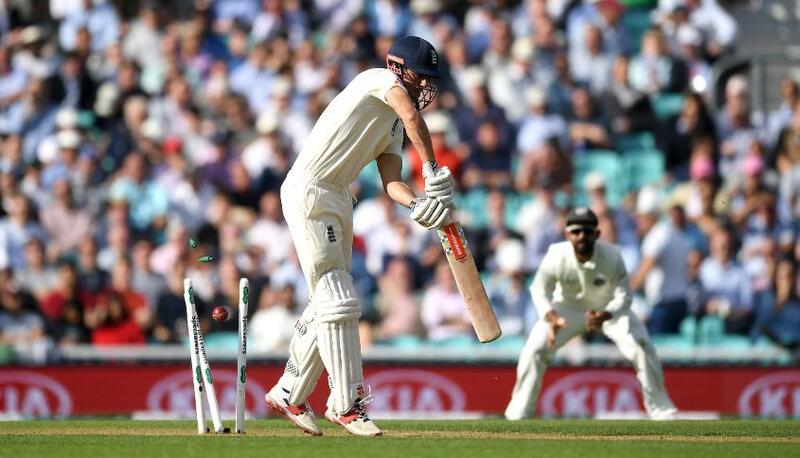 The performance of the India bowling attack was made all the more impressive by the fact that Cook evaluated the Oval pitch as the easiest the teams have played on throughout a series which has seen the seamers receive significant assistance from the surfaces. “It has been testing batting conditions for both sides with the new ball, but it didn’t nip as much early on here. There also wasn’t as much zip off the wicket, it was a slightly slower wicket. There was a bit of swing as the ball got a little bit older. The ball hasn’t strung straight away throughout the series. Cook made excellent use of the more benign conditions, making his first half-century of the series. The score was more meaningful since he announced before the game that this would be his final Test match. “I think because of the emotion I didn’t want to not get a score. There’s nothing worse than going out and not contributing after all the fuss about the week. I was probably just as nervous as I was anyway. 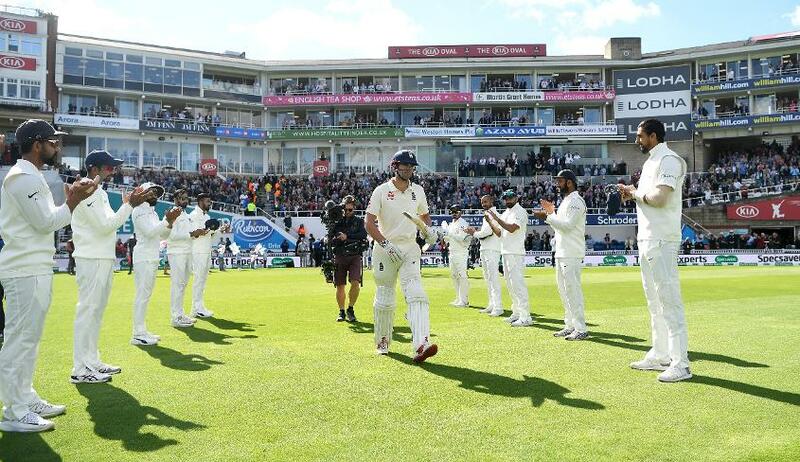 That emotion was ramped up by the start to the day, with Cook receiving a rousing reception and a guard of honour from the India side. “It all happened so quickly,” he said. “It’s really weird, I always think playing in the Ashes at Lord’s, walking through the long room, it’s such an amazing noise, but you just do not appreciate it. The guard of honour is such a nice gesture, but you’re just focussed on batting.